I’m also being reminded during the dream, that it’s very important that I do the same thing: I check in with people, exchange energy with people, accept and offer energy as it’s needed. Then, after each interaction, I need to be careful to release that connection of that particular energy with that particular person. Now, this is a little bit different from the “energy cords” that some of us might have heard of. It’s not like a connection to a chakra; it’s more like little threads that we all develop between one another as we interact. And like the larger energy cords, we need to maintain them. 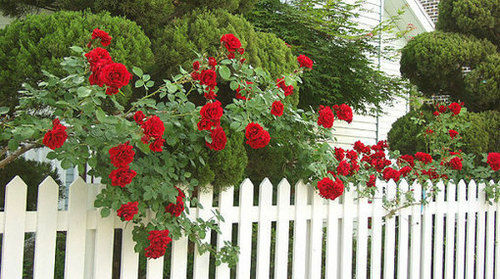 It relates to the symbolism of the garden with the picket fence, described earlier in this post (I’m prompted to mention that All About Enlightenment includes several posts on this topic, including the house/ fence/garden/yard analogy; if this interests you, please go to http://allaboutenlightenment.wordpress.com and search “house room relationships” and “house of love”.). The picket fence represents the white energy cords that then become severed and rounded up; each person takes back their thread, and then move on to the next phase, or the next story. If we keep our cords attached, we become quite emotionally entangled, without understanding why. We need to be careful each time, that we really sever ALL of them. Say you have 23 connections with someone, that arise from particular interactions, or subjects that you’ve connected with them on… And the two of you experience energy flowing through this connection, equally between the two of you. When you get to the time of changing lives, and it’s time to sever those cords and move on. Let’s say you sever 22, but there’s a 23rd one, and you leave it. As you move on, you connect with someone else, and new cords get developed. But you still have this one tiny little thread, trailing back to the previous connection with another person – who may not even be appearing in the current lifetime. And so on: you have a lifetime with this next person, and let’s say that you forget 3 of the cords that need dis-connecting. Once again you move on, and connect with more people in subsequent lifetimes. If you can get the image, you might see how it can become quite a tangle, if we don’t completely sever. In Western (or at least American) culture, we are taught by many energy healers that we have these cords, and that when we have an unpleasant relationship with someone, or a relationship ends, we may feel that someone is draining us if we do not sever or remove these cords. This explanation I’m being given now, as I record the dream, is helping us to understand what’s going on there. Sometimes we connect with people because they’re so familiar to us. The familiarity may come because we may still have a cord connected with them, from a “previous” (or “future”) lifetime experience. We need to be mindful of whether the cords we share with others are truly “legitimate” cords, or whether they are artifacts left over from another role, and that connection is now distracting us from the reason we are here now… Are our cords related to the work we’re going to be doing with that person in this lifetime…? In the second example, it’s merely an acknowledgement, showing great respect for the other person, as well as for the roles each of you are playing now. In this description, the cords have been maintained properly, and there’s no inappropriate draining of energy going on. In the first example, there’s still a cord connecting the two people, from a time that has passed. So there’s still a lot of powerful energy flowing back and forth. After we have “done our time” at the “retirement facility” and finally left our astral body at that point in time, we go to rest and rejuvenate and restore. Then, it’s as if a planning session takes place with our Guides and the characters with whom we’ll interact in the next lifetime. We all discuss and reach an understanding about who will actually share energy cords between themselves, and who will have more of a “visual” connection (where instead of actually having a cord between yourselves, there is simply something like “eye contact”). I see an image of a cord between two people, that’s quite thin, but has a huge knot in between them. That knot signifies an image like a spectre or ghost of a relationship that those two people expect would develop between them. Because it’s a connection that belongs at another time and place, it’s become tangled and confusing. I can see slight white cords, with sort of intense, darker, energy cords around it… very very very tangled up! But there are still rainbows, sort of circulating through the knot. We see the rainbows, and this is where we get confused. We’ve been so rainbow-starved in this world that we want to just run to it! But, because it’s not the time and place for that connection (either “yet” or “any more”), the rainbows become tangled. They tend to attract us, but they may also distract us… and they draw our energy outm but it doesn’t accomplish anything. It’s just knotted. So, with some people (usually family members, spouses or children), we may have this kind of relationship in this lifetime. Perhaps, yes, we were “supposed” to be in this lifetimes with this person, but not in that particular capacity. So, back to the dream, this relationship/energy dilemma is also symbolized by the scene with the picket fence and the retirement home and the conversation with the friend/colleague. There I see a friend, whom I haven’t seen in a while. Because we’ve worked together in the past, we just assume that we’re supposed to walk off and do things together now. But we have different perceptions (of the elderly woman, for instance); one of us is quite certain that one thing is true, and the other sees it another way… We end up thinking each other are incorrect, when actually we are merely remembering different things altogether. We are trying to reconcile, and convince one another we’re “right”, but it’s irrelevant. We need to just relax and let it go, and walk through that doorway to the transport platform and each of us move on to our next tasks.